Welcome to Karny Life! I bet you're wondering what the heck Karny Life is. My name is Karmen & my husbands name is Tony. We took KAR from my name & NY from his name & came up with Karny. We'll be sharing our regular life adventures like day trips, home decorating, movie & restaurant reviews, favorite recipies, & whatever else comes up. So stay tuned & come back often to see what we've been up to. Life is an adventure! There are suprises to be discovered around every corner. Live with Passion! 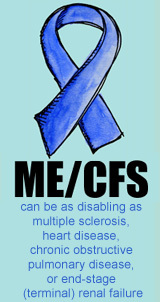 May 12th is International ME/CFS/FM Awareness Day. For the second year I am participating in Blogging for ME/CFS Awareness. I've improved quite a bit just in the last week....not enough to write a whole lot...With the help of my awesome husband, Tony, he took some photos of me....then I added those to some photos we took in early November 09. It felt good to create a piece of art again, which I haven't been able to do in some time. This piece was inspired by my wandering our house, feeling like a ghost. Stopped by to check in on you! Sad to read of the relapse. Happy you are on the mead. 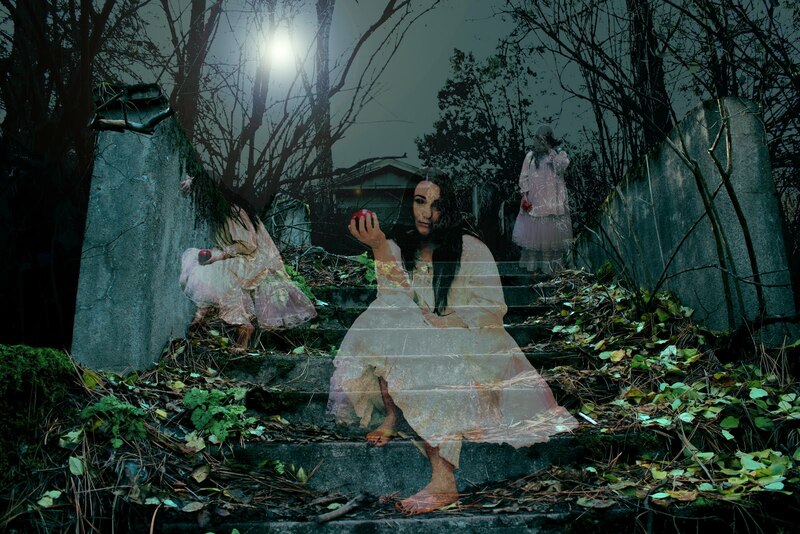 However, I understand the 'ghost' like feeling. Sending you warm, healing vibes my friend! Welcome to my blog! Come in & make yourself comfortable. Have a cup of tea and stay for awhile. Please note that the images, art, photography and words on this blog are mine. Please do not use any of these images or words in anyway under any circumstances without first contacting me for permission to do so. This is much appreciated and is just good Karma! Come see my new creations & artistic endevors. Come take a peek at my new blog! Karny Slideshows: Take A Peek! Create A Beautifully Magickal Life!